When June finally arrives, there is nothing like farm fresh strawberries that we turn into our Farmhouse Strawberry Jam. 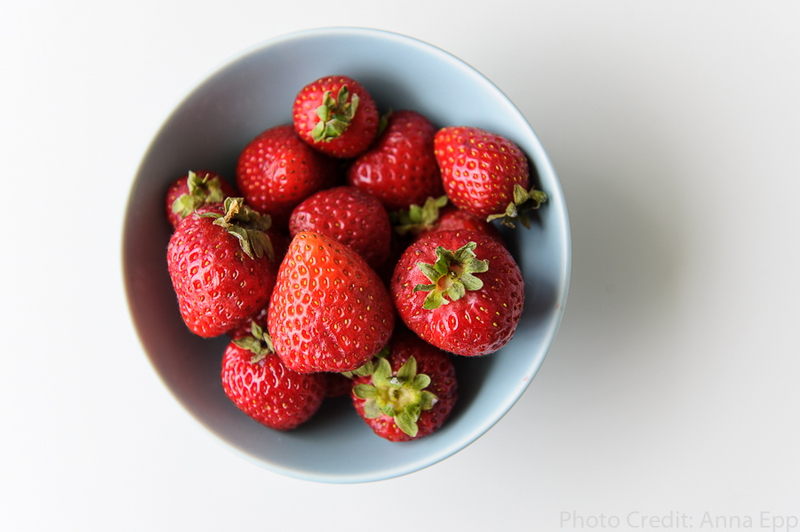 The warmer the weather, the sweeter the strawberry. Last June we did an experiment, a batch of early Farmhouse Strawberry Jam and a batch of late Farmhouse Strawberry Jam. The early one was lighter in colour and a lot softer in flavor and sweetness. The later batch was darker red and had a full bodied strawberry flavor and was so naturally sweet. While both are delicious, it depends on how you like your jam. For us, both are welcome, for some they like consistency of one flavor so they only do early or only do late strawberries. 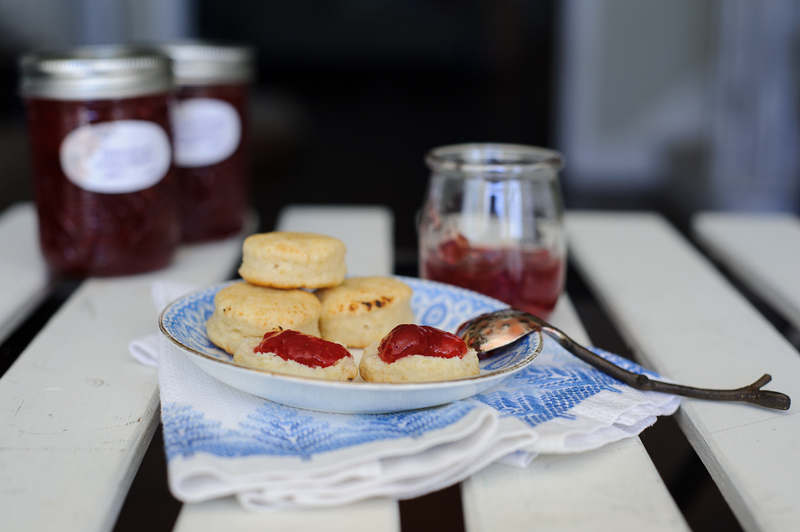 Biscuits are a family favorite here and it takes just a few minutes to whip up a quick batch to taste test our jam. I use my grandmother’s stir and roll biscuit dough recipe from the 60’s and I think of her every time I make some. 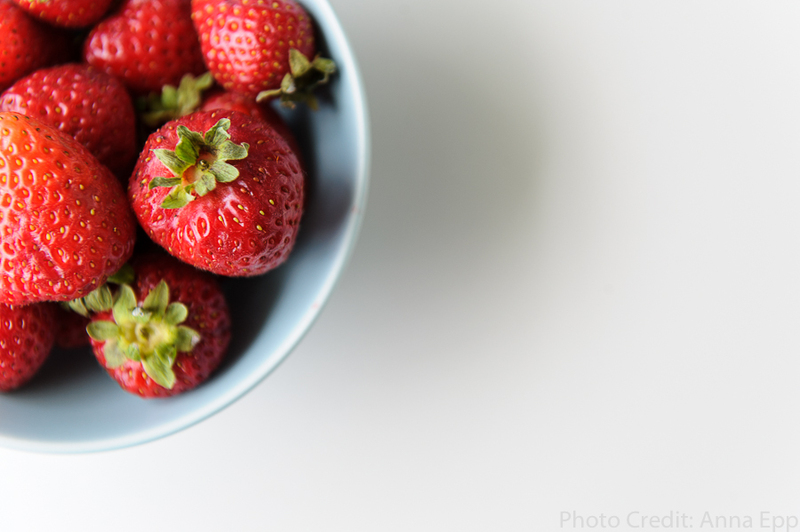 Never turn down a bowl of fresh strawberries! Crush berries a cup at a time in a large pot. Stir in pectin and margarine (or butter). Heat on high, stirring constantly, until mixture comes to a full rolling boil. Add sugar all at once. Return to boil for 1 minute, stirring constantly. Remove from heat; skim off foam. *You will know they are sealing when you hear pops as the jars cool. Server on biscuits, toast, ice cream… your options are endless, we even just eat it with a spoon! © Anna Epp 2005-2016. All rights reserved.